A river cruise is the perfect Sunday outing for the family, offering a fun day outdoors in the company of your favourite people. 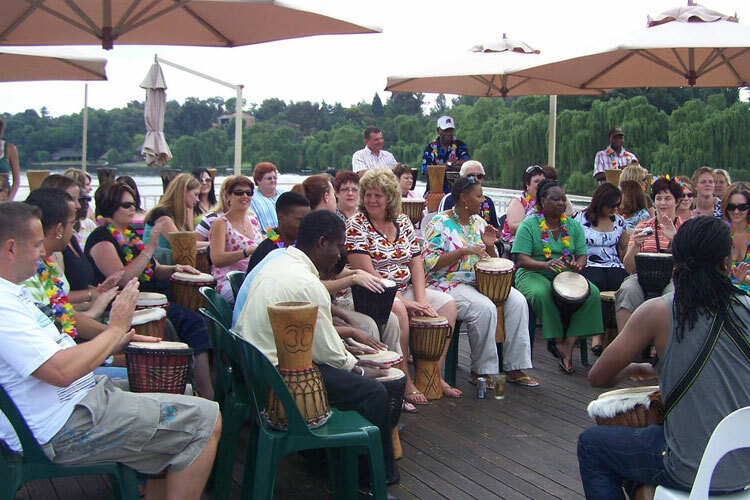 Everyone will enjoy this memorable and exhilarating river cruise experience in Gauteng. 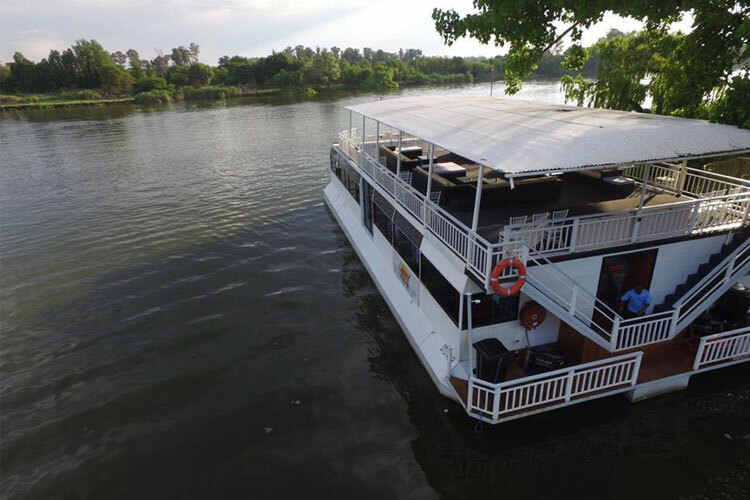 Liquid Lounge is a renowned river cruise boat in the Vaal Triangle and greater Gauteng region that offers guests a spectacular Sunday boat cruise, coupled with a truly enjoyable Sunday Lunch Buffet. Our Sunday boat cruise is the perfect outing for guests from the Gauteng area, and is only a short one-hour drive from Johannesburg. 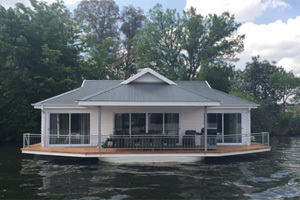 Located in Vanderbijlpark, Liquid Lounge departs from the Emerald Marina, at the Emerald Resort and Casino, where you can enjoy a number of fun activities before or after your Sunday boat cruise. What is included in our Sunday Boat Cruise? 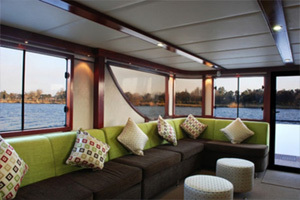 River cruise: You will enjoy a two hour cruise down the beautiful Vaal River. The Vaal River is a majestic river that runs through the Vaal Triangle, offering beautiful scenery and the opportunity to take in the beauty of its surrounds. Get some fresh air on the weekend and book your Sunday boat cruise with your family and friends to enjoy the day together. Lunch buffet: Liquid Lounge’s Sunday boat cruise includes a spectacular buffet lunch, providing guests with a wonderful dining experience. Our s\chefs will prepare every dish to perfection, and our buffet spread includes something for everyone. Live entertainment / wine tasting: Depending on the Sunday cruise you select, your cruise will include live entertainment to set the perfect mood, and / or an enjoyable wine tasting experience for those guests that are fond of wine. You can book your Sunday boat cruise and buffet well in advance, or check if we have availability on our next cruise date. View our Liquid Lounge calendar to see our upcoming cruises, and to book a table for you and your family / friends. We trust that you will have a memorable cruise experience in Gauteng aboard the Liquid Lounge river cruiser. 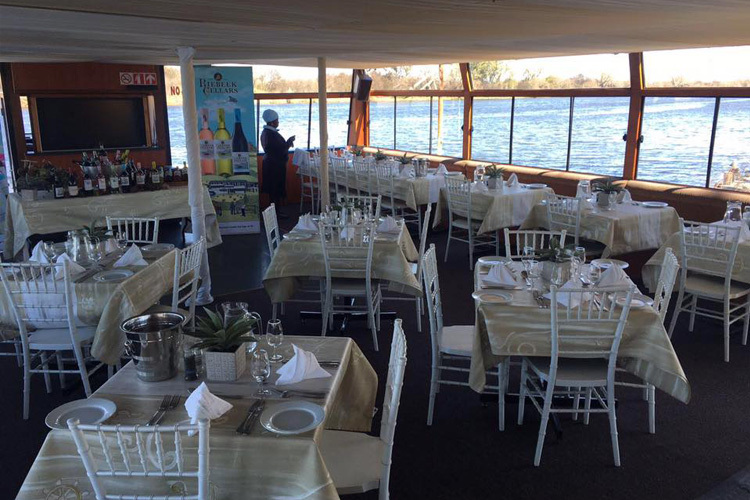 Liquid Lounge is a renowned river cruise boat operating in the Vaal Triangle, Gauteng, ideal for a number of functions and events. 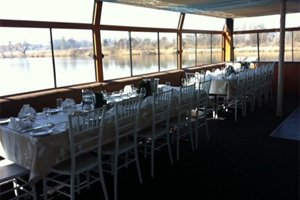 Our river cruiser is a popular venue for weddings, conferences, year-end functions and even private parties. Treat your guests to an unforgettable experience by hosting your next party of function aboard the Liquid Lounge! 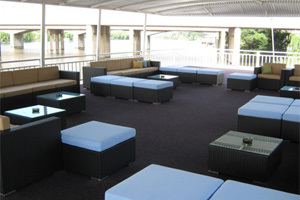 Contact Liquid Lounge today for more information about our functions and packages available.